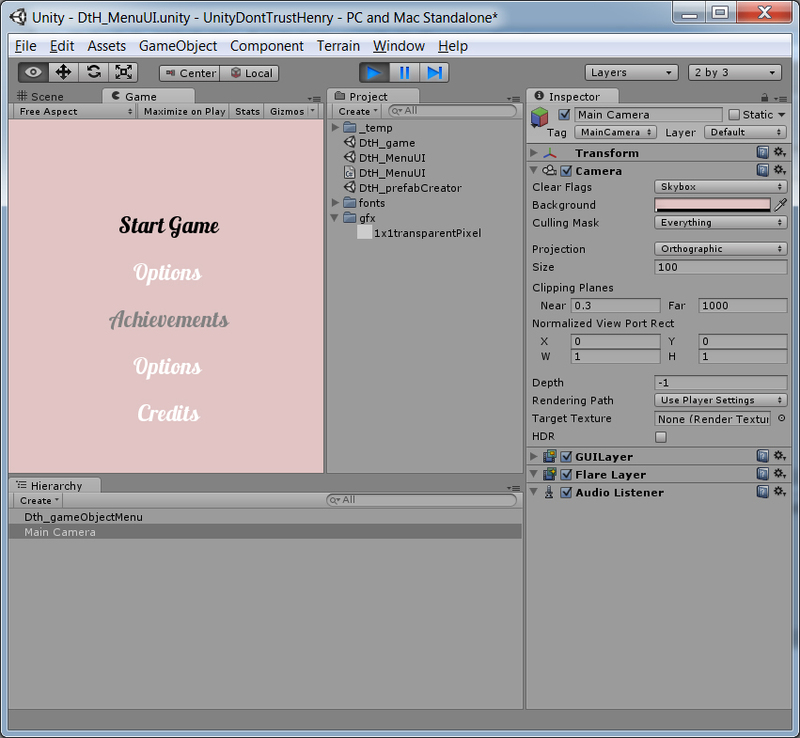 Today I bring you some Unity-related updates. I figured out how to use custom styles and mouseover effects. Importing fonts and stuff like graphics. It even starts the gameScene! Tomorrow I will try to add some graphics and I’ll try to move them. obviously like your web site however you need to test the spelling on quite a few of your posts. Many of them are rife with spelling problems and I to find it very troublesome to tell the reality on the other hand I will certainly come again again. Hey Thanks for your note! This is my first english Blog and since english is not my native language. Its sometimes not easy to keep the spelling right. But i try to do my best.